I would like the logo to be similar to the current logo but am open to new creative ideas. 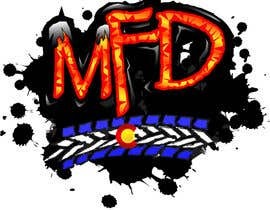 I would like to keep the Colorado flag and colors incorporated into the logo as well as incorporate mountains in the "M". Must be modern and clean design. Please feel free to add a watermark or anything needed to secure your work and feel free to contact me with any questions. Hello sir Greetings....can i help with something.. :) :) :)...! hello sir Greetings....please check in the private msg..... :) :) :)..!